This 4 1/2" full color baseball glove actually holds a regulation size baseball. Add a personalized plate for an award that doubles as a display for a cherished baseball. 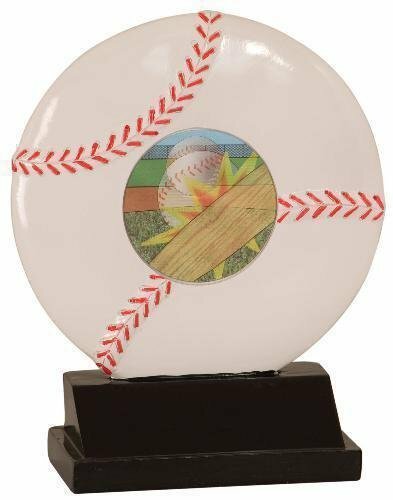 This baseball multi color sport resins gives you a unique and colorful award. The award showcases baseball icons of a bat, baseball cap, and a ball in a glove. A wreath with a bow at the bottom bring the entire award together. 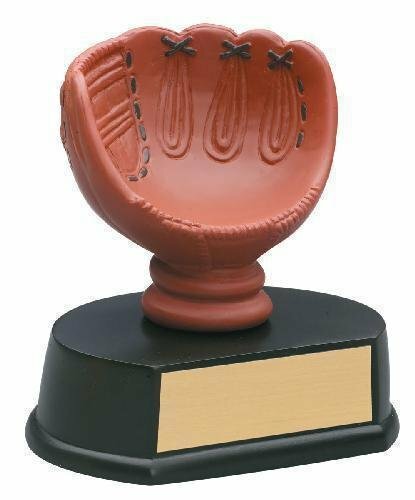 Standing 5" tall with plenty of room on the base for your engraving needs is sure to make this a home run.